Greetings from Scoutable and welcome to our September Wrap Up. I hope you had a lovely weekend. September saw 3,432 properties scheduled for auction across Sydney, with an average clearance rate of 55%. Melbourne saw 3,922 properties scheduled, with an average clearance rate of 58%. Brisbane saw 628 properties scheduled for auction with an average clearance rate of 44%. In comparison, September last year had an average clearance rate of 68% (4,869 properties), 77% (5,137 properties), & 40% (1,481 properties) respectively. The above data is showing a drop in clearance rates of 13% in Sydney and 19% in Melbourne, while Brisbane is up 4%, for the September year on year comparison. Across the three cities, there has been a significant drop in the number of properties scheduled for auction however, the numbers are up from last month (excluding the long weekend) as expected in the spring market. When I was going through various news articles to share with you in this wrap up, I found a lot of doom and gloom on the property market. I think the media can get carried away and it seems I’m not the only one – see an article below that references a recent alarmist 60 Minutes segment. So, I thought why don’t we look at what a respected industry research company had to say about the property market over the next few years. BIS Oxford Economics each year releases a forecast report called Residential Property Prospects. Let's take a look at the report for 2018-2021. We all know, the market has hit it's peak as house price growth has slowed across most of Australia. It would be impossible to maintain the double-digit growth rates that the market has seen over the last few years. Let’s start with the important news in this report. BIS state that the housing market will not crash, with the support of low interest rates, a “relatively stable, albeit subdued, economic environment” and strong population growth. So why the slow down? BIS suggest the current lull is a result of tighter lending criteria, especially with respect to interest only loans. This limited ability to obtain interest only loans, is effecting the borrowing capacity for investors and the appeal for some investors on utilising negative gearing (only the interest component of the loan payments is deductible debt). The withdrawal of investors is having a similar effect on the market as would an increase in interest rates – it is slowing down the market. This is good news for first home buyers. Further drivers to the slow down include; affordability constraints, weak wage growth, an increased supply of apartments and large levels of construction, which may lead to an oversupply of apartments in the inner cities of Brisbane, Perth, Canberra and to a lesser extent Melbourne. Over the next 12 months, taking inflation into account, modest price declines were forecast in most capital cities. The three years to follow will bring a turn around and show price growth, though the results fragmented. Please see graph below. Looking beyond 2021, there’s potential for higher growth should overseas migration inflows be sustained over the coming years - which is likely. Supply falls back to below underlying demands and the economy strengthens. The recent construction boom and oversupply of new dwellings will be absorbed by population growth although BIS states that any growth in rental will be minimal. It is important to remember that research like the above is taking into consideration the capital cities as a whole. Each region within the city will perform differently. Some areas will outperform whilst others underperform. When investing, consideration must be given to what is driving demand for property in that area. How close is the suburb to public transport? work hubs? retail facilities? any public infrastructure scheduled? how available is land for redevelopment? As always, property investing is not meant to be a short-term hold. We believe there are some great buying opportunities out there with an outlook to the future. AUSTRALIA'S MOST EXPENSIVE HOUSE, SOLD! 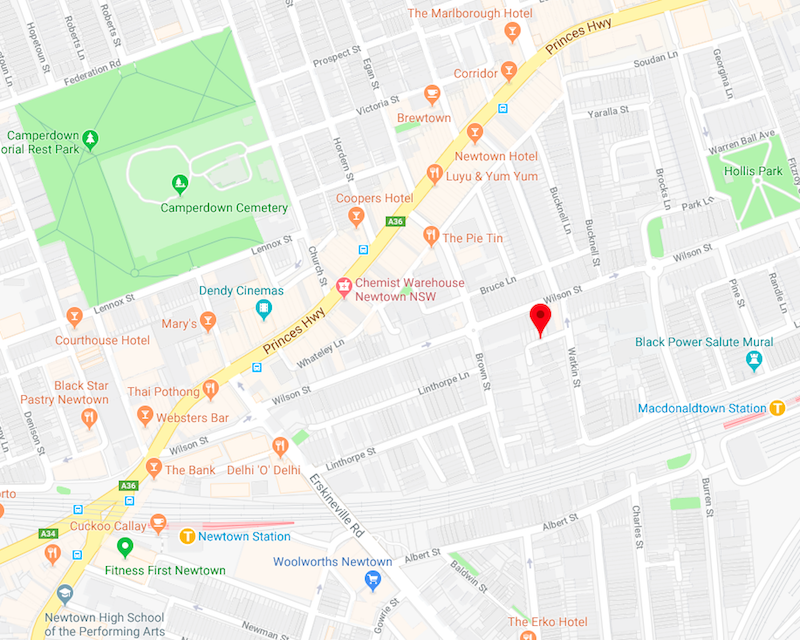 Newtown is a suburb of Sydney’s inner west, located on Gadigal land of the Eora Nation, approximately four kilometres from the CBD. It was established as a residential and farming area in the early 19th Century and took its name, arguably, from one of two sources. A grocery store that opened in 1832 with signage that read “New Town Stores”, and “Newtown House” which was built around the same time. The name New Town was adopted and the space was eventually removed to form the name Newtown. 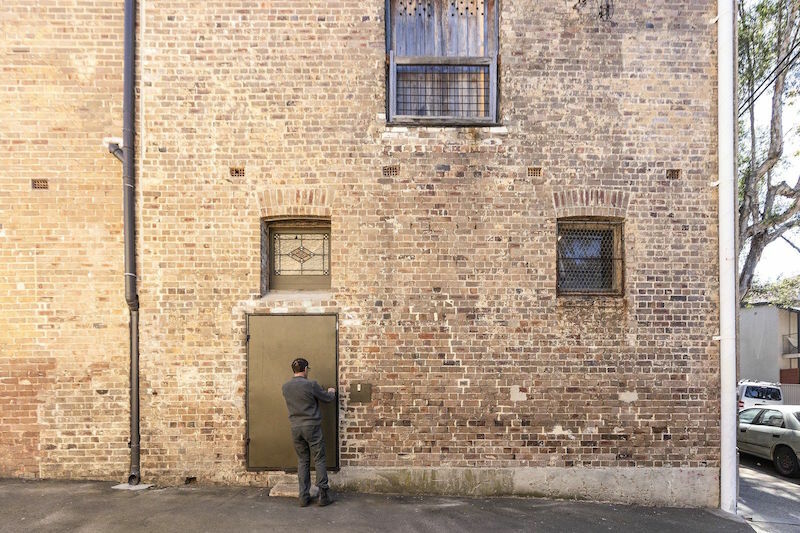 Continuing with our love of inner-west warehouses, we introduce you to 2 Hennings Lane. 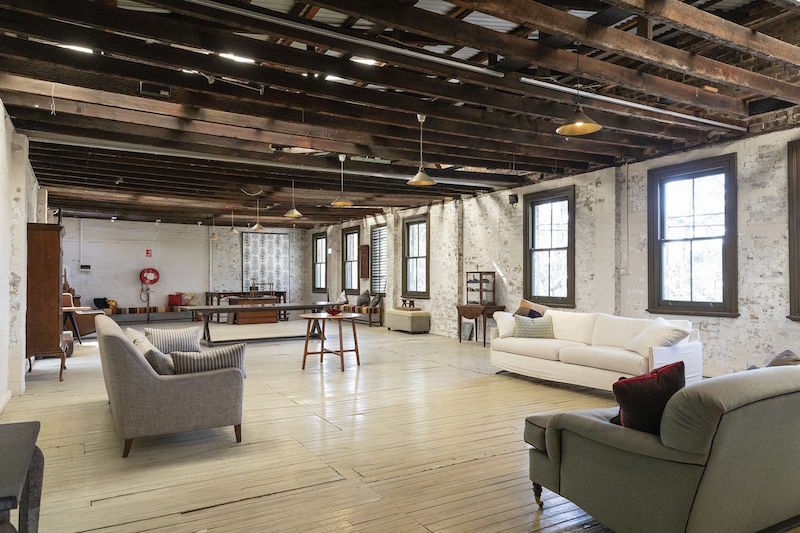 It was originally the Newtown Bakery and for the last three decades has been operating as an upholsterer’s and antiques workshop. The warehouse comprises 292sqm of land providing 405sqm of internal floor space and 65sqm of outdoor space. Skylights and a wall of east facing windows flood the interiors, exposing raw textures of brick, steel, concrete and timber. Spread over two floors, the ground level offers very basic kitchen and bathroom facilities which adjoin a large area currently configured to home separate workshops. Take either of the two extra wide staircases to the upper level (a room 19 metres long requires two!) to reveal another vast expanse of space (140sqm) and a slightly smaller second room which you would imagine to be the main bedroom - even though it’s the size of an average two bedroom apartment. Original barn doors open to timber decking which overlooks the internal courtyard that houses large trees that reach for the sky, giving it a mystical “Great Expectations” kind of ambience. Please see the video link below as the photos do not do it nearly enough justice. While it’s not currently set up as a home, it has been approved for home conversion with existing commercial rights meaning it has potential to be an incredible home, commercial space or both. The price guide is $3,300,000. If you’d like to know more about this property or any others, please get in touch.